Yea, alright, so we all know I’m a sucker for kitchen goodies. And we all know I am the happy owner of a kitchen that actually has more than enough cabinet and counter space. Yes, such a thing does exist! That does not, however, mean I am going to clutter it up with tons of One-Trick Wonders and Whiz-Bang Gadgets. I’m kinda old fashioned like that. Sure, I’ve got a food processor, and a blender, and a crock pot, and a microwave and toaster, and one of those cool stick blenders (that also has a cool mini food chopper attachment). Notice the only real one-trick pony in that bunch is the toaster, and it’s to be forgiven, since there just ain’t no other way to make decent toast, and don’t tell me about toaster ovens, it’s not the same. You’ll even find a bread machine in my kitchen. What you will not find anywhere in my kitchen are gadgets that are so specialized they only do one thing. There are no omelette pans (thank you, I do quite well with a basic skillet), no electric hot water heater thingys (umm… tea kettle? Pot on the stove? Microwave that mug? ), etc. And then came along FingerHut… What the hell? How did I get on that mailing list? So um... I guess the grill is out? Now, let me be perfectly clear here – I do not care for hotdogs to begin with. But, even I recognize them as a staple of American households. 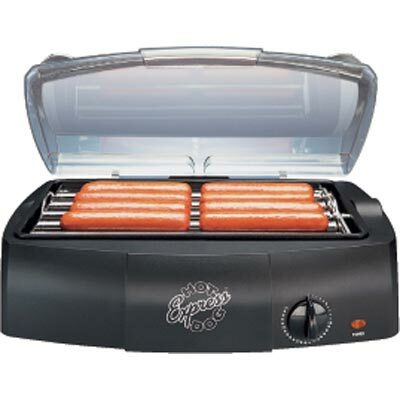 But why on earth would I want to put an electric hotdog cooker in my kitchen? $40 and lost cabinet/counter space to a tool that does one thing, that can just as easily be done by any number of other methods?? Please! Wow, I couldn't manage one without it! Holy smokes! 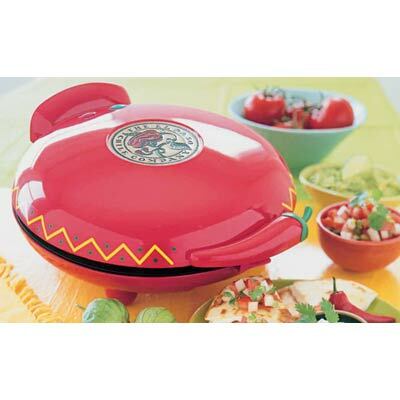 Please, someone, explain why anyone would need an electronic gadget to make a quesadilla? Please? Alright, one more… This one I can almost… almost… understand. If you have a large family, or are frequently cooking for crowds, or something like that. 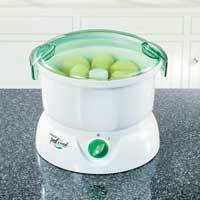 Because peeling onions and potatoes is such a pain, you should have a gizmo to do it for you, right? Again, I can almost understand it… almost… I just can’t get around spending $70 on it. And I know I can’t wrap my head around cleaning any one of these wired gadgets – each requiring special handling, rather than the typical – dunk it in a sink of sudsy water, scrub and rinse. I’m a happy convert to the ranks of bread machine owners – that tool makes sense. Dump in the stuff and walk away. It turns breadmaking from a three-plus hour, labor-intensive project, to one that takes mere minutes. I still prefer my bread done by hand though. Now I’m on a quest! Stay tuned for future installments of crazy, why-would-you-waste-your-money-or-space-on-that gadgets, gizmos, whiz bangs, doodads, thing-a-ma-bobs and whats-its. So, ah… make your bed next time!